Experience the true magic of Christmas and… Let it Glow, Let it Glow, Let it Glowww! Cork County Council are excited to announce GLOW – Cork Christmas Celebration – will return to Cork this Christmas for all family and friends to enjoy! Soar high above Cork on the Giant Ferris Wheel to have the best view of the beautiful Cork scenes! Then take a trip over to the entertainment and Live Music at the Grand Parade to listen to bands and the choir! 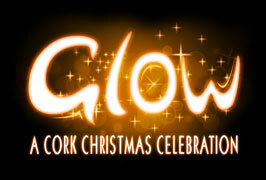 If you’re looking to embrace the “glow’ of Christmas, look no further than Cork City! A family favorite, this year’s festival will take place on Grand Parade and is set to be more magical than ever before! Even zoom around the shops and pick up your last minute surprises at Cork City’s unique boutiques and gift shops! Enjoy a nostalgic and interactive traditional Christmas experience!